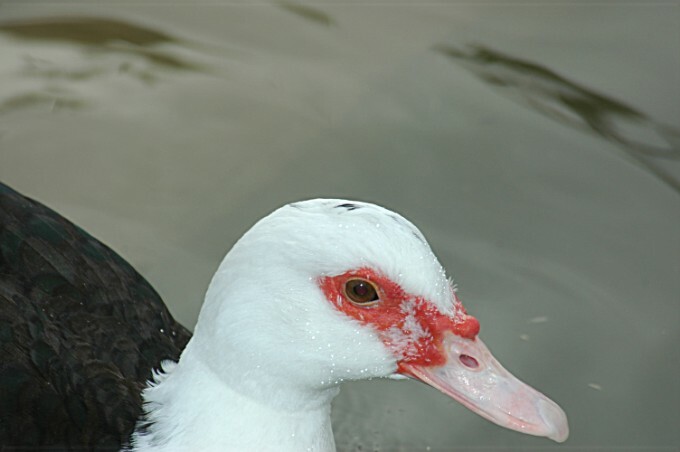 Is seen in park lakes through out the U. S.
A *feral* population has developed in Florida and parts of Texas and a few other locations in the states. 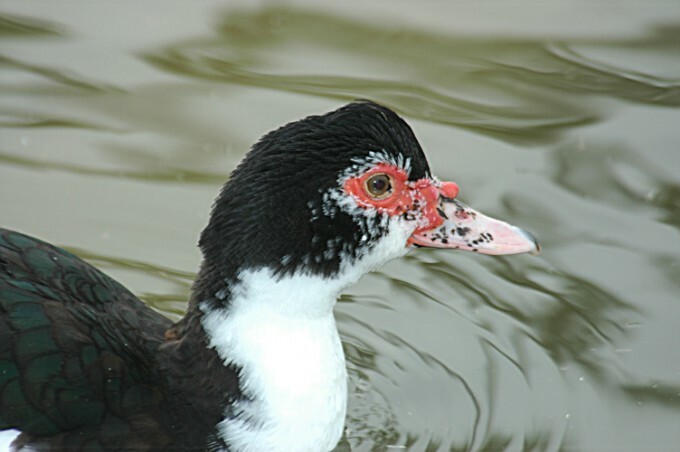 These photos were taken 12/20/05 Scottsdale, Arizona city park. 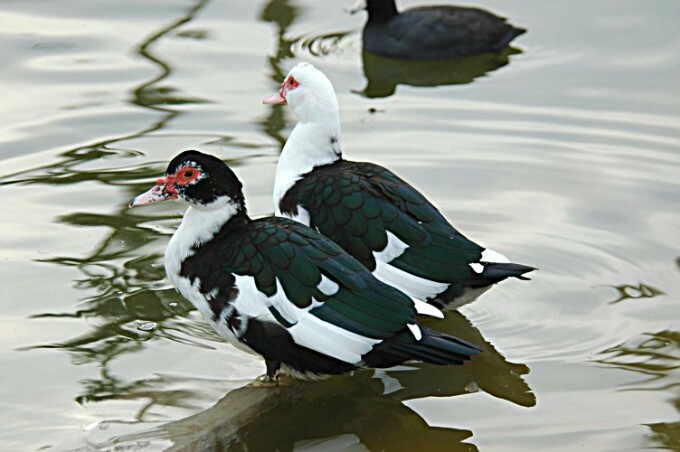 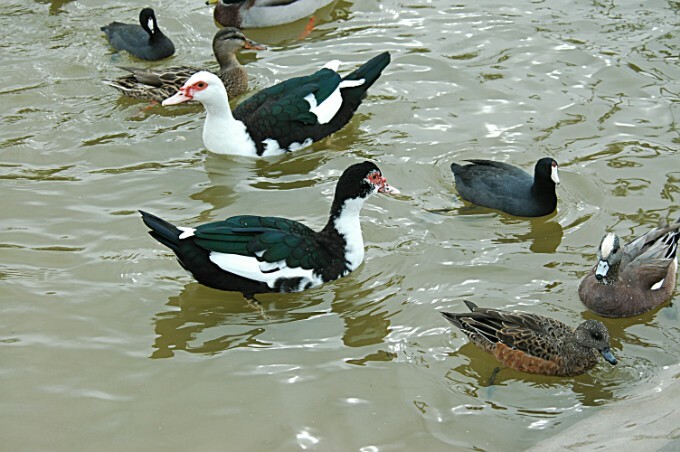 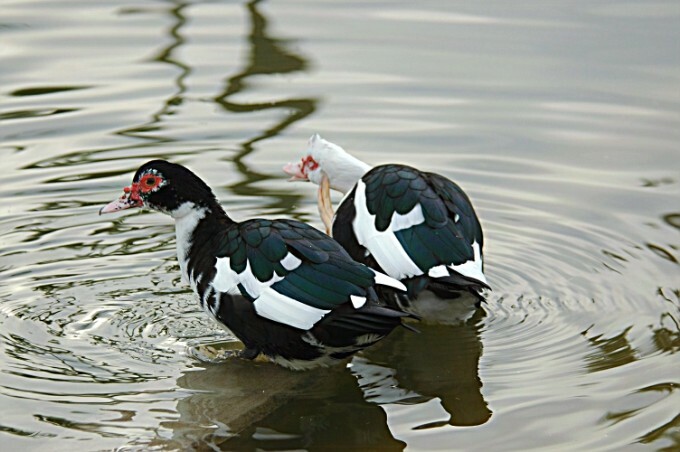 The wild Muscovy is mostly all black.